Reviewing, let alone investing in an annual sports game series is difficult. In my experience, Madden fans are typically the reluctant type; they hope for vast improvements every year and expect a new game that will blow them away. Madden NFL 12 is not that game. It's not the kind of game that answers every problem players have with football games. But this year, EA Sports tackled some core issues that elevates this game as one of the best in the series. One of the first things players will notice is a general improvement in all things related to presentation. Madden 12 mimics real NFL broadcasts this year with better-positioned camera angles and perfectly placed broadcast graphics that show game and season stats. The concept of "just like you're watching it on TV" shines through in the smallest of details, from the stickers and scuffs on helmets to the grass stains players earn on their jerseys. Laying out Jay Cutler and constantly seeing a reminder in the dirt on his shoulder was a badge of honor for me (and for my middle linebacker, while we're at it). The main complaint I have with Madden 12's presentation, aside from the cardboard crowds, is the commentary, which is at near-disaster levels. Gus Johnson and Cris Collinsworth return this year, with recycled lines from Madden 11 in hand, calling each game fairly inaccurately, blandly, and with as much vagueness as possible. Besides hearing the same lines about safeties being on islands all the time, I'd heard one touchdown pass considered a "big gain" that kept the drive going. If you plan on playing Madden 12, plan on having something else to listen to. Gameflow received a small upgrade, with a box that offers an option for players to scroll through plays based on aggressive, conservative, and gameplan-based play calling. What once was a single button option is actually worse in some ways, as gameflow doesn't provide you with any play art or even the formation for the plays you select. A cover 3 in a 3-4 set isn't the same as a cover 3 in a nickel 2-4-5 formation, which makes gameflow a sort of blind-leading-the-blind option for play calling. This is the worst for the amateur players that the system is meant for, as the opportunity is lost for players to learn how formations and plays work, and why they work in certain circumstances. Blending together the game's mostly-improved presentation and gameplay are added animations. EA Sports boasts over a hundred new player animations in Madden 12, enough added variety to give you the necessary sense of uniqueness in each catch and hit. Player fluidity is impressive this year, to a degree that embarrasses previous versions. This year, you actually control players up until the moment they collide with another player. This means one of my biggest issues with Madden 11 can be left in last year's game: no more suction. Past games had players warp and slide into place for blocks, tackles, catches, and nearly any player animation within the game. Unfortunately, this meant being near an incoming defender was just as good as being wrapped up by them. Instead, I've seen no instances in Madden 12 of players warping awkwardly into an animation, whether it's my fullback opening a running lane for me, or a receiver making an amazing catch. 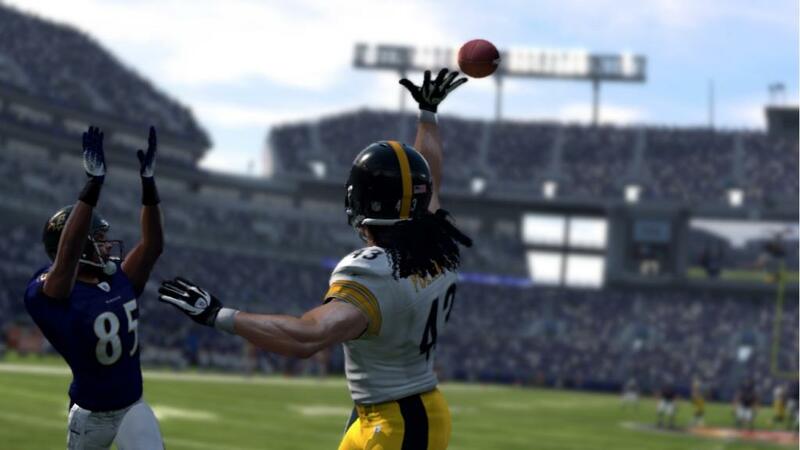 This player fluidity doesn't just make the game look better, but it makes the game play much better than Madden 11. While some will be disappointed to see no changes to the online franchise mode, the offline franchise mode received the most work this year. Franchise mode's more noteworthy additions add excitement to the offseason general manager process, such as a new rookie scouting system and free agent bidding. Scouting a handful of players out of the upcoming draft class unlocks a few stats at a time, leading up to a more tense, exciting drafting period. Players have the option to allow the game to simulate any part of franchise mode but, as I've learned, some decisions are best left to the player. In my case, skipping the contract signing process for all the rookies I'd drafted my first time through led the game to actually not sign all but one of them to my team. It was a nightmare finding my future star quarterback's glowing ratings fully unlocked on another team's roster, with no plausible trade to bring them to my team. I didn't necessarily need that quarterback, though. My offline franchise, where I was controlling the Cincinnati Bengals, saw Andy Dalton on a hot streak for the first few games of the season. This is possible through dynamic player performance and player traits, which accounts for each player's individual tendencies, skills, and fluctuating confidence and consistency. Now having Aaron Rodgers or Tom Brady on your team (and especially on the opponent's team) doesn't feel essentially the same thanks to their ratings, as both play in a unique manner. Likewise, the "be an NFL superstar" mode has been turned into a micro RPG. Superstar mode in Madden 12 is exactly as it should be: creating a player and participating in games and practices nets you skill points, which you use to boost your player's individual ratings. I started out by upgrading my strong safety, who was drafted by the Oakland Raiders, at his speed and acceleration ratings before working on his coverage ratings, as superstar mode limits you to controlling only your created player. Games go fast in superstar mode, and a few hours of diligence takes you through an entire season. Sadly, the disbursement of skill points is terribly imbalanced, and my strong safety went from his starting 66 overall rating to a 99 overall before the start of the second season. After that, there was far less incentive to continue his career, so I chose to force an early retirement for him. Better yet is the addition of online communities. Past Madden games had players matching up online with others in a mostly random environment, without any certainty that the player they were about to clash with would play with class and sportsmanship. Online communities in Madden 12 allow you to join both private and public groups, each with an impressive amount of options that makes playing a game within the community a unique experience. Joining up with other Packers fans, or with my 4th String Madden league friends, or creating my own "2 Minute Drill" community, offers something fresh and reliable in the online front. Each community contains leaderboards for both head to head and team play games, which is wonderful for the 98 percent of Madden players that have no hopes of reaching the upper tier of the global online leaderboard. Madden 12 is a good game despite itself. Amidst its major shortcomings is the price tag on much of the add-on content. In an era where NBA 2K11 provides an excellent example of how to offer players a new, arguably appropriate way to play with legendary players, Madden 12 charges players (albeit optionally) for the opportunity to play with football legends in Madden ultimate team. With all the fun to be had in superstar mode or Madden moments live, I'm disappointed that I can't create and share my own Madden moments with others online. As good as the game is, it is victimized by its own business model. 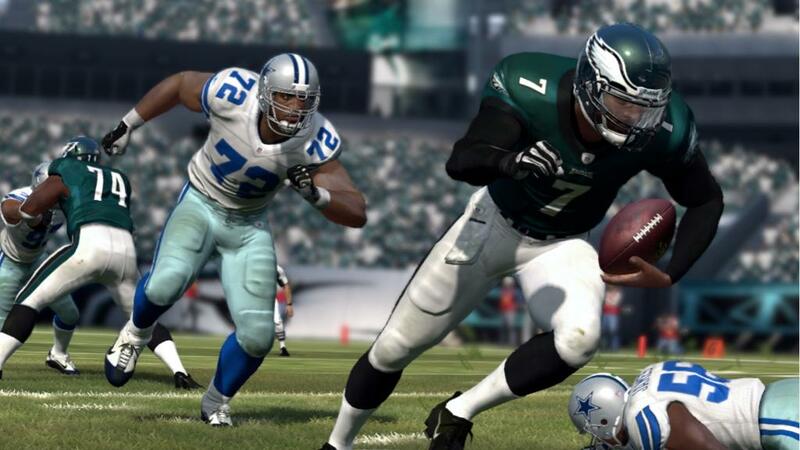 Madden 12 does not respond to every fans' frustrations. Every year, the series brings a balance of improvement and ongoing flaws. Considering this year's game as a whole, improvements like the new presentation style and lack of player suction heavily outweigh the more minuscule issues that remain. It's a good kind of frustration for players, the kind where this year's game is definitely better than last year's, which may actually be enough incentive to give it a shot. 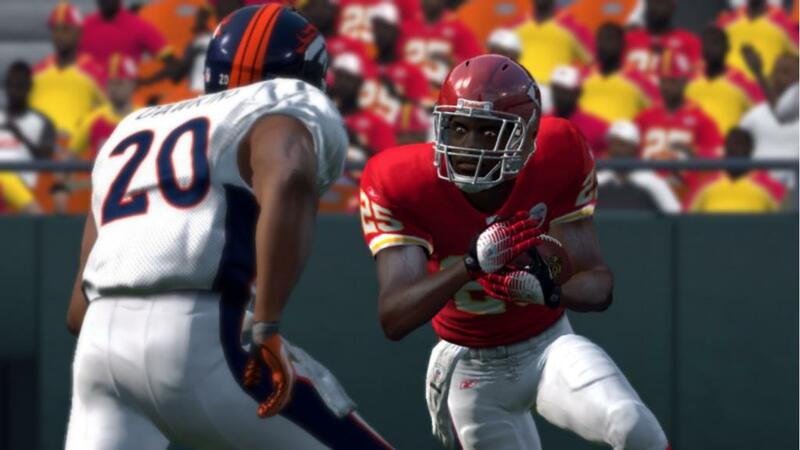 This review is based on the Xbox 360 version of Madden NFL 12 provided by EA Sports.